Mar. 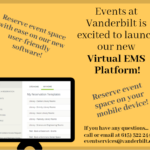 5, 2019—We are excited to share with you that Virtual EMS has a new look and the user experience has improved! Log into the EMS Web application with your VUNet ID here or use this link for step by step instructions. Jun. 1, 2018—Work was recently completed on a familiar first floor corridor of Sarratt. Old carpeting was ripped out and the concrete below was cleaned up, smoothed out, and polished up. Check out that shine. May. 9, 2018—The heat is on. Commencement is shaping up to be a hot one. It doesn’t look like rain will be an issue, but temps will hover around 90 for the rest of the week. Pool time? Rand 3rd Floor Carpet and cabinetry are in! New pics of the SCHQ (Student Centers Headquarters) are below. Apr. 25, 2018—Demo is underway in the space that will serve as the future HQ for Student Centers. 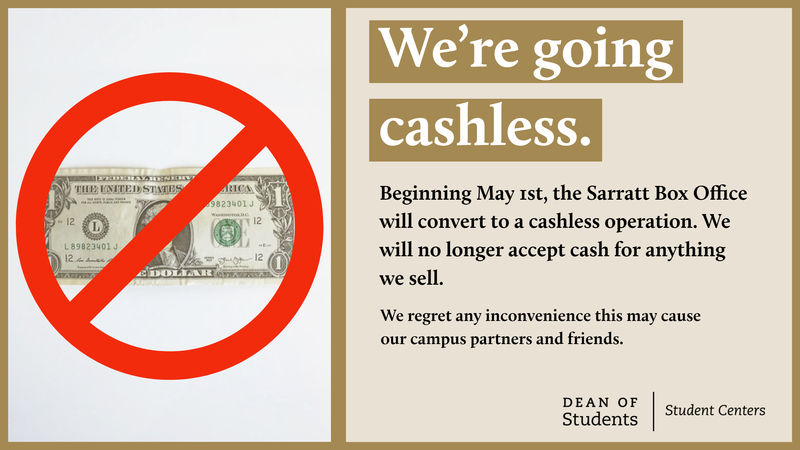 This includes offices and staff of Reservations & Events, Meet at Vanderbilt, and Production Services. 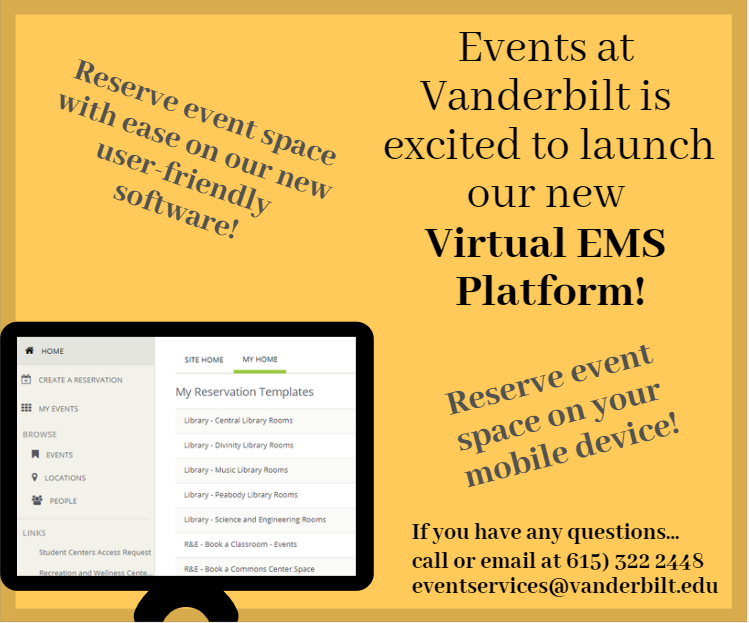 If you plan and host events on campus, this will be your one-stop shop with all resources in one location! Dec. 21, 2017—Our policies are changing!